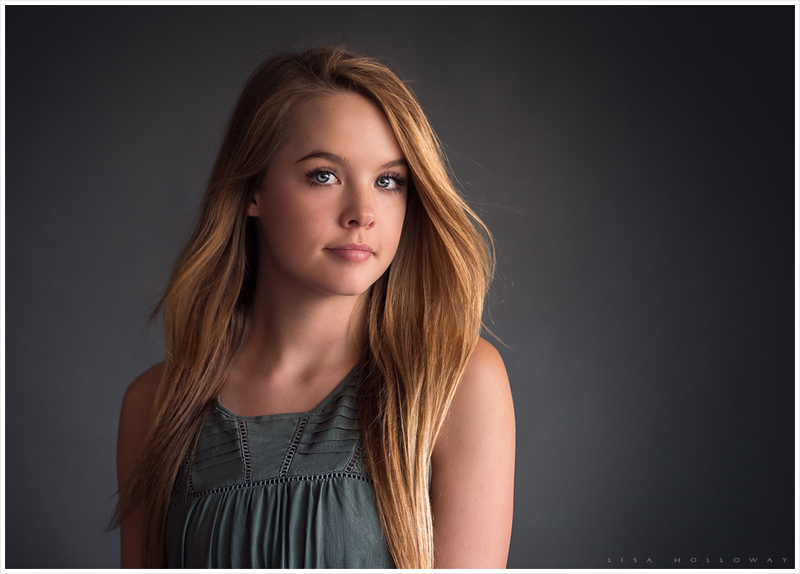 As a Las Vegas Senior Photographer, I love this age group so, so much! 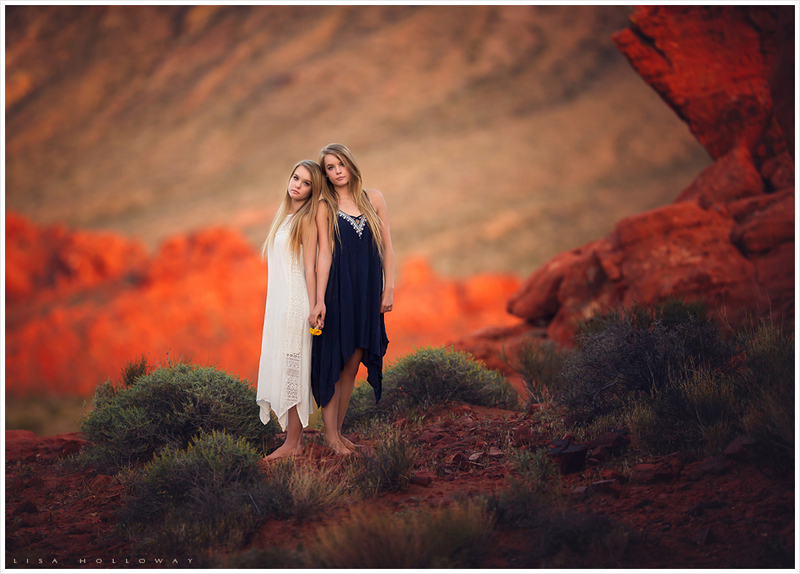 I’ve known Hailee & Jaci since they went to preschool with my eldest daughter many moons ago. 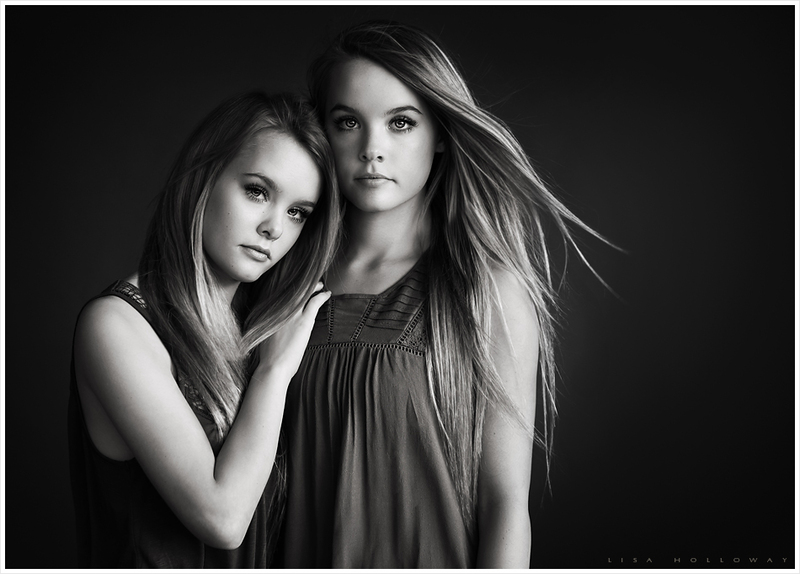 I always thought they were adorable little girls, and they have since grown into beautiful young ladies. I couldn’t tell them apart when they were toddlers, and even now it is difficult. They are fraternal twins but have very similar features. Jaci is a few inches taller now than Hailee though, and that was the only way I could figure out who is who. 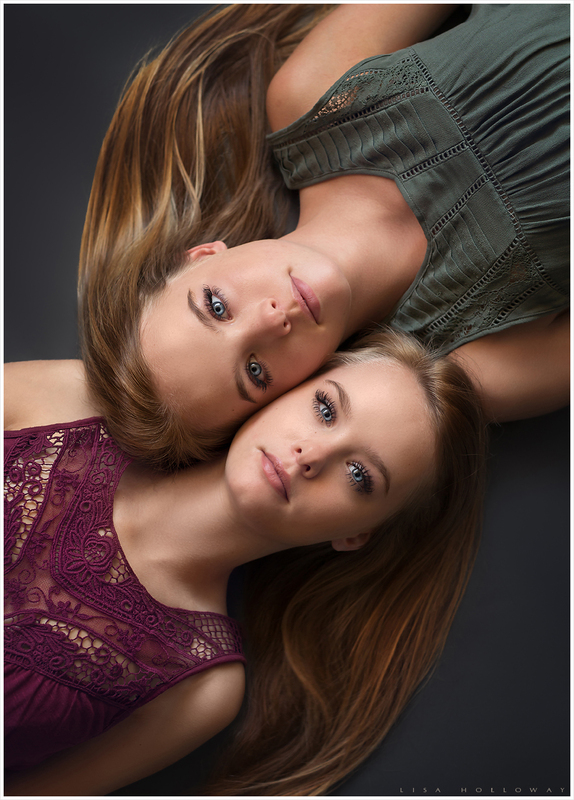 My goal with this shoot was to capture the twin bond that they share, and I’d like to think that you can see that in these pictures of them. 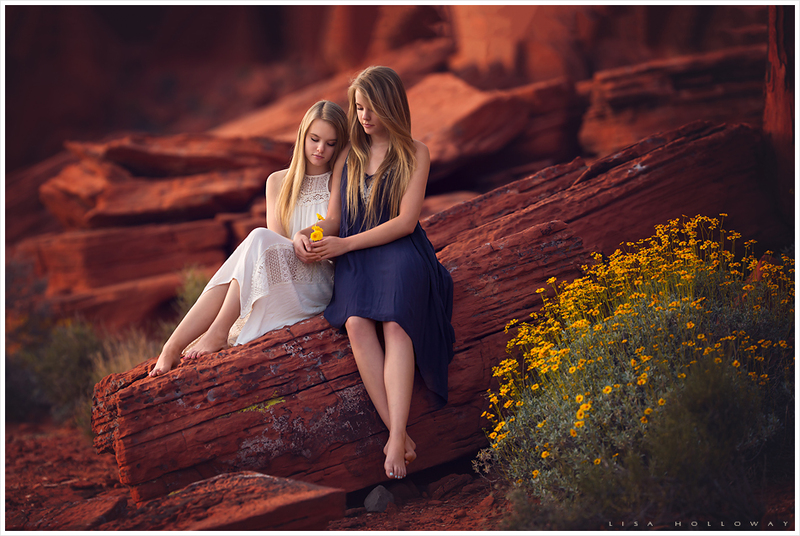 We started out doing some studio images in their garage using natural light and then headed to the red rocks near Vegas for some outdoor images. 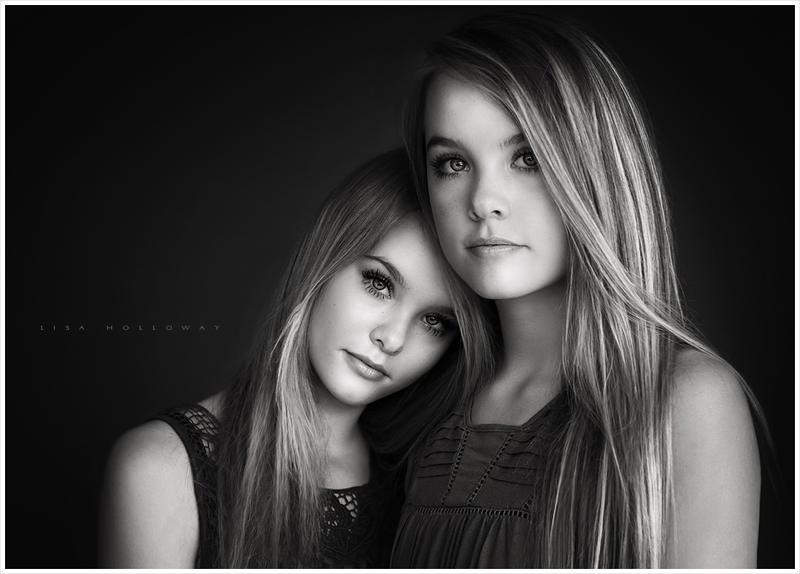 I just love how these came out – they are both such gorgeous girls! 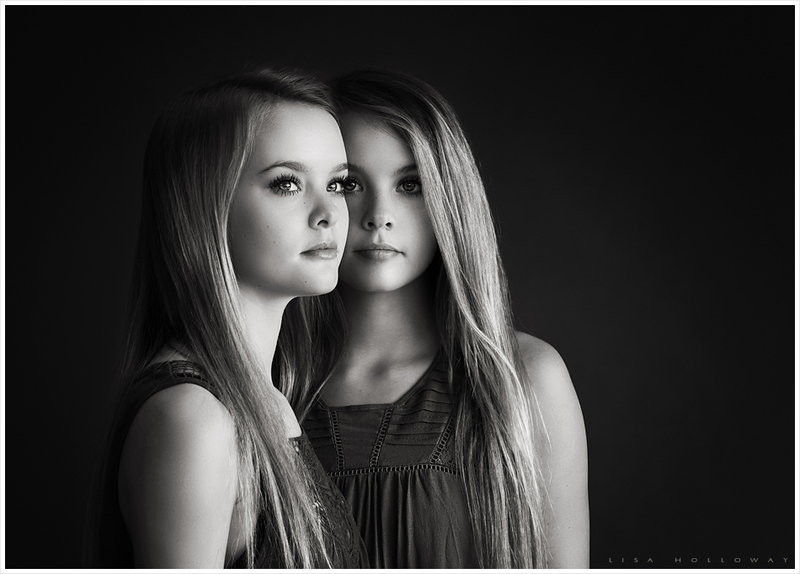 Twins are absolutely amazing to document and I would love to explore this realm of photography more in the future. 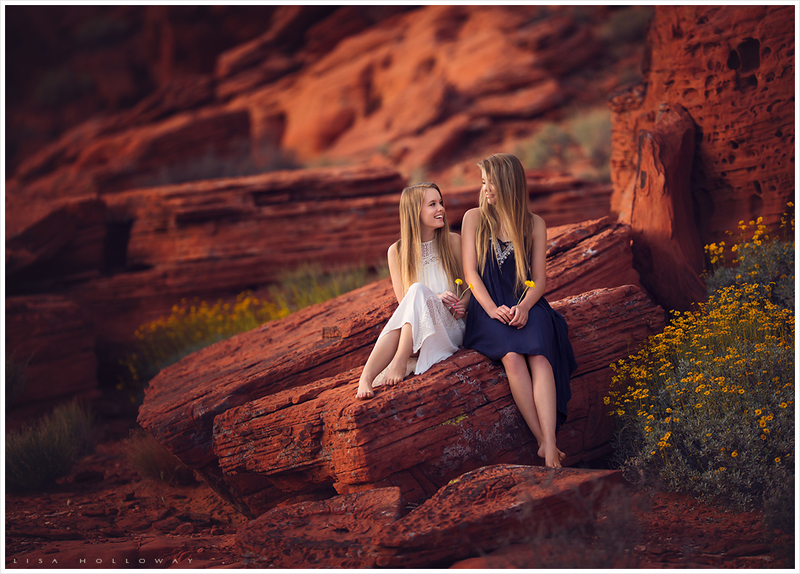 Lisa Holloway of LJHolloway Photography is a Las Vegas Senior Photographer. 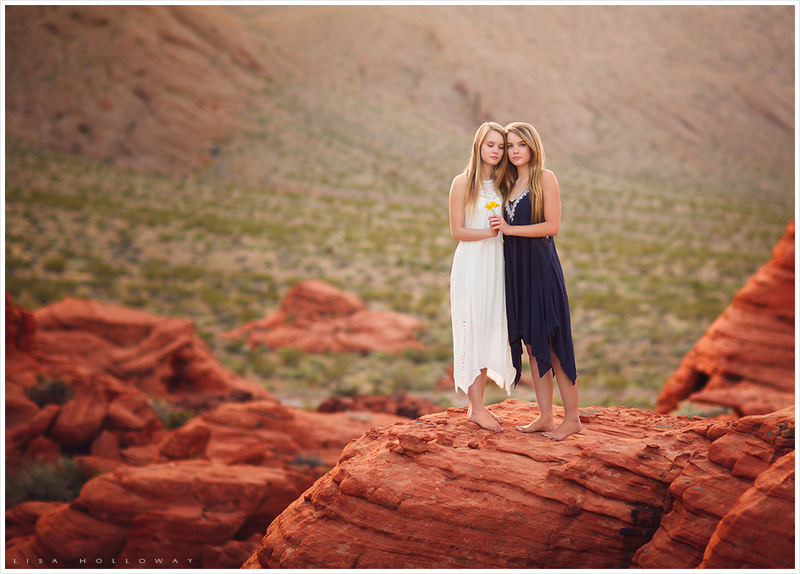 LJHolloway Photography is located just south of Las Vegas, Nevada. 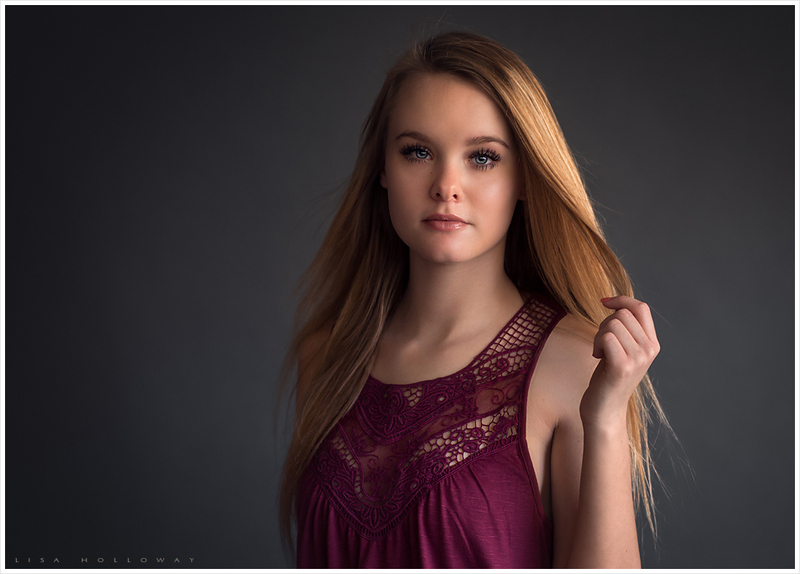 At LJHolloway Photography, you will find fine art maternity, newborn, baby, child, family, and high school senior photography in Las Vegas, Henderson, Summerlin, and the surrounding areas. Amazing colors in your images. Your photos are always striking. I love every image in this set! The mum must be thrilled! The shots are stuning it is amazing how different the finished image is simply by changing the models hair colour b clothes etc. Only wish my finished images were of the quality of yours. 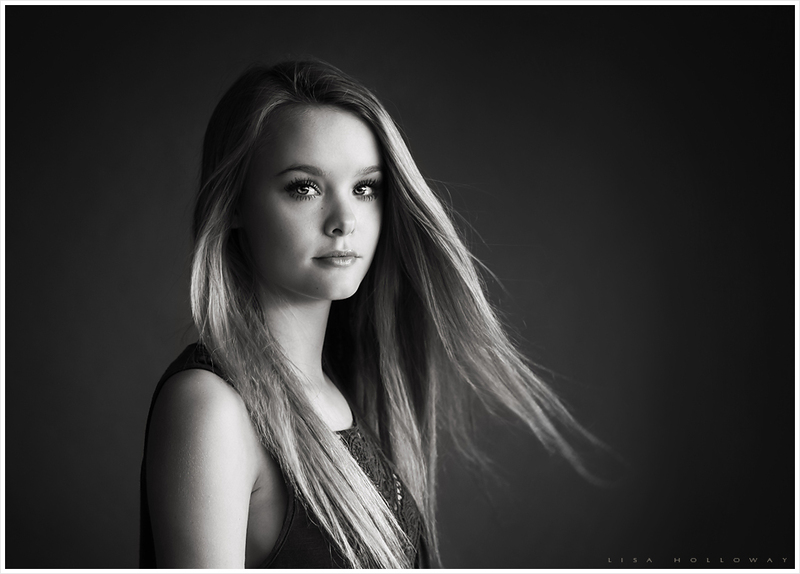 Stunning work Lisa, gorgeous young ladies and so perfectly captured. I love the expressions and bond between the two of them you have captured. 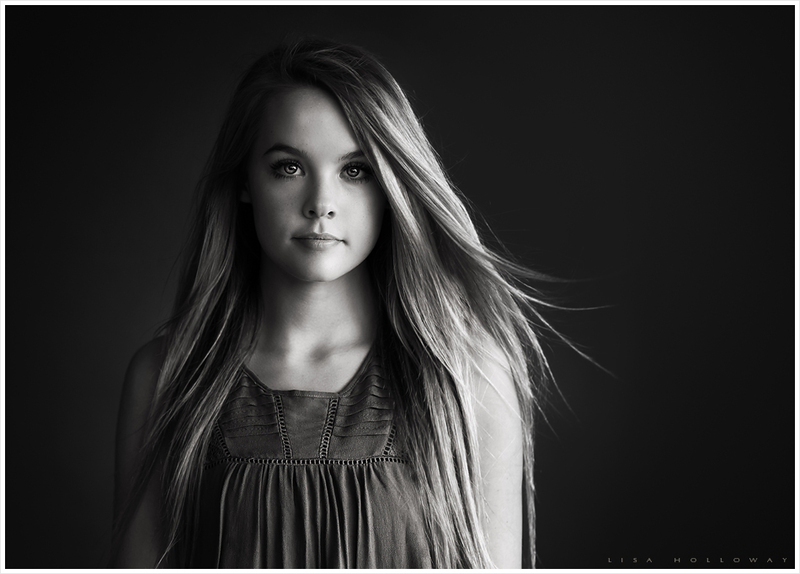 Gorgeous session. Absolutely love the colors! Amazing session. Love the sensuality of the pretty hands intertwined in most shots.